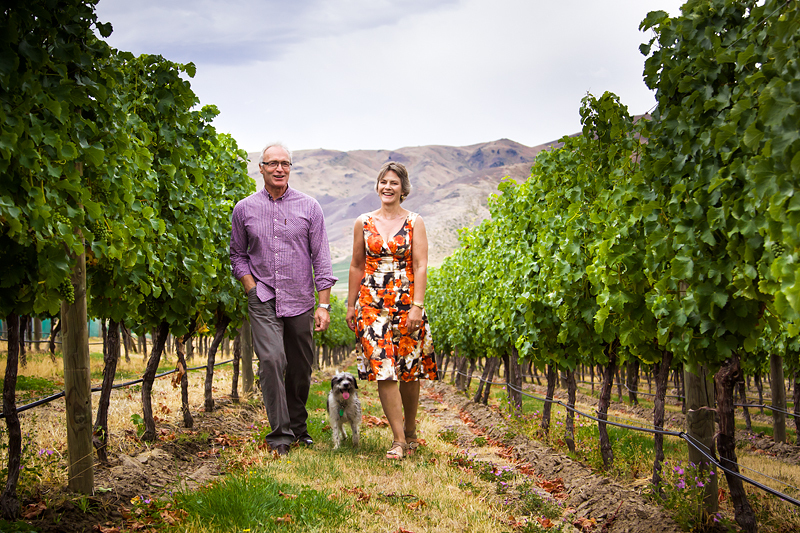 Domain Road Vineyard is owned by Graeme and Gillian Crosbie who were originally drawn to the Bannockburn and Central Otago area as children, eventually buying property so that they could enjoy the area with their own children. Constantly striving for the best from their vineyards has been a rewarding experience which they enjoy passing on to their many loyal customers around the world. Graeme and Gillian have continued to enjoy Bannockburn with its hot summers and crisp clear autumn days. The glowing red and gold colours of the autumn vines and trees contrasting with the spectacular landscape of historic goldfields and mountains make Bannockburn a very special and spectacular place to be. 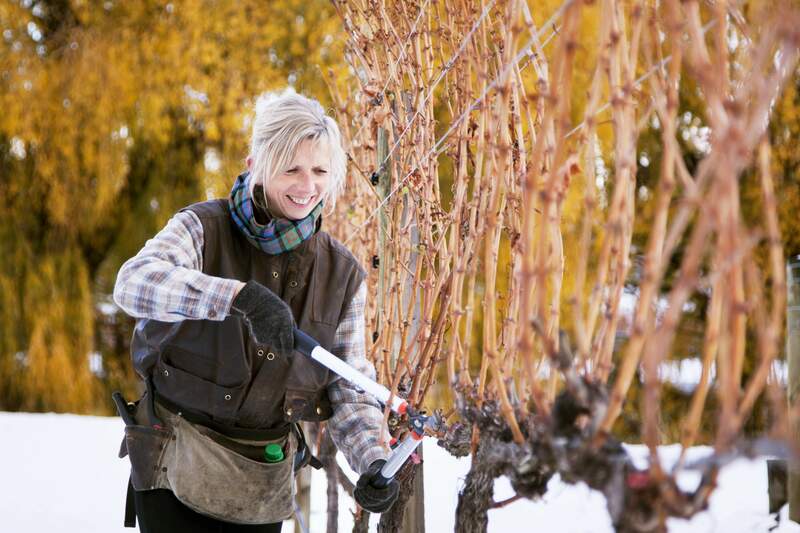 Domain Road's Vineyards are capably managed by Fiona Johnman. Fiona has many years experience on Central Otago vineyards having previously worked for Felton Road and Zebra vineyards. Working closely with the vineyard owners to ensure the vineyards are managed sustainably and according to the owners' philosophy, Fiona shares their desire for perfection. Peter Bartle is one of Central Otago’s most successful and respected winemakers. His no nonsense, passionate approach to winemaking has led to great success in competitions and tastings around the world. Peter coaxes the best out of the grapes to create wines with poise, texture and balance. He has worked in the wine industry for nearly two decades, for such top names as Villa Maria Estate, Joseph Phelps Vineyards in Napa, California, and Forrest Estate in Marlborough. He was lured to Central Otago by the promise of working with acclaimed Pinot Noir wines. 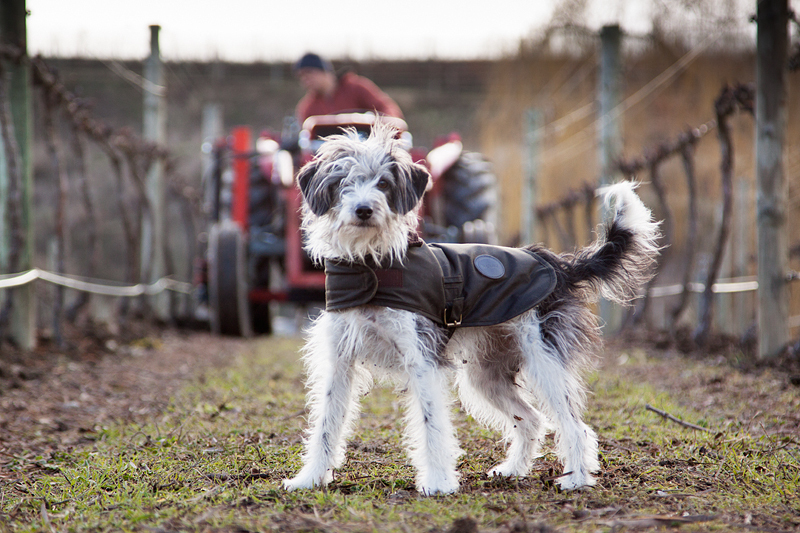 Every good vineyard has a dog and at Domain Road its Lucy. Lucy's mother is a Spoodle (Spaniel - Poodle cross) and dad was the Jack Russell Terrier down the road - naughty mother! Depending on the weather she is either Terrier (fine sunny days when chasing rabbits is fun) or Poodle (cold or wet days when the heater in Graeme's office is more fun). She has been given the role of meet and greet / entertainment for visitors. She is quite good at it.